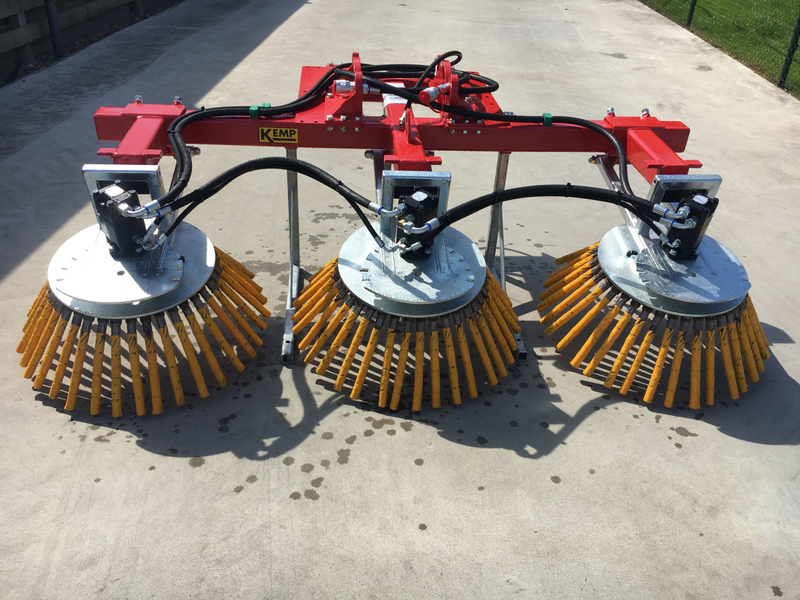 The triple weed brush can be connected to (mini) loaders, (mini) excavator, tractor, forklift, etc. as long as the minimum oil yield is 60 liters and the machine is equipped with a non-pressurized return. Kemp has developed the triple version for companies, who maintain large surface areas. With this machine, large surfaces can be brushed faster thanks to the large working width. The brushes have the same direction of rotation so that the dirt is drained to one side. 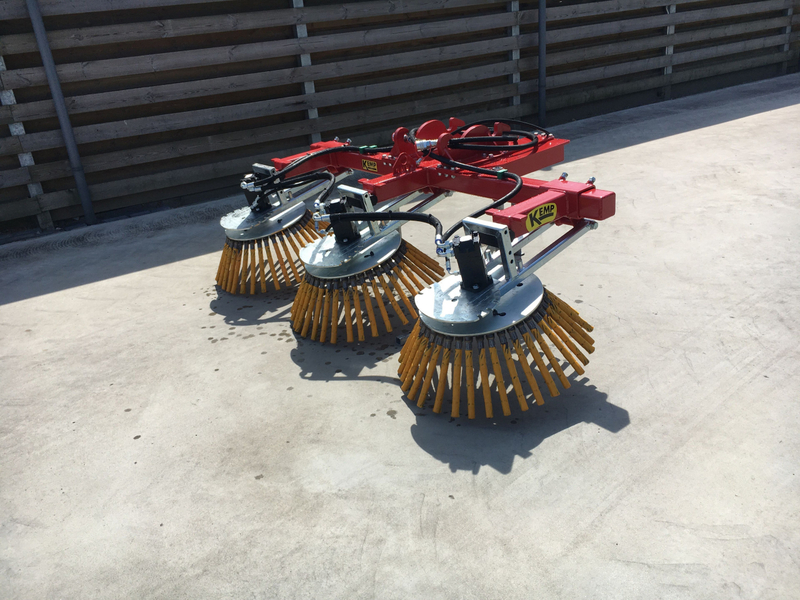 The weed brush triple is available as a fixed or hydraulically swivelling version. By using a hydraulic swivel function with the pivot point against the vehicle, a large swivel range is possible, namely 70 degrees to the left and to the right, so that the weed brush can reach far next to the vehicle and thus there is also a good view on the brush. In case of serious contamination, there is the possibility to swivel as much as possible so that brushes, brush together in a row. The fixed version is suitable for a excavator with turn-tilt head. A third advantage is that three brushes adapt better to uneven surfaces than one large brush, because all can oscillate independently. - The maximum working width of the triple version is 2,225 mm. The triple weed brush is available with the attachments that belong to your vehicle (for the attachment parts, see the document: Kemp attachment parts).